From 22 to 26 October 2014, the 12th edition of the prestigious Mountain Film Festival Tegernsee takes place. 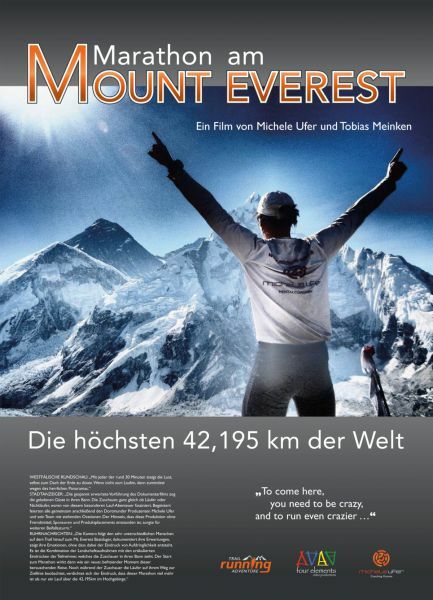 The award-winning documentary "Marathon at Mount Everest - the highest 42.195 km of the World" by Michele Ufer & Tobias Meinken will be presented at the opening evening on 10 October at 20:00 pm in the category of "Extreme". Shortly thereafter, Michele Ufer & Tobias Meinken are invited to the 21st edition of the Mountain Film Festival Salzburg. The documentary is shown several days in the main program from 20 November to 8 December 2014.